Toss salad with dressing until coated. 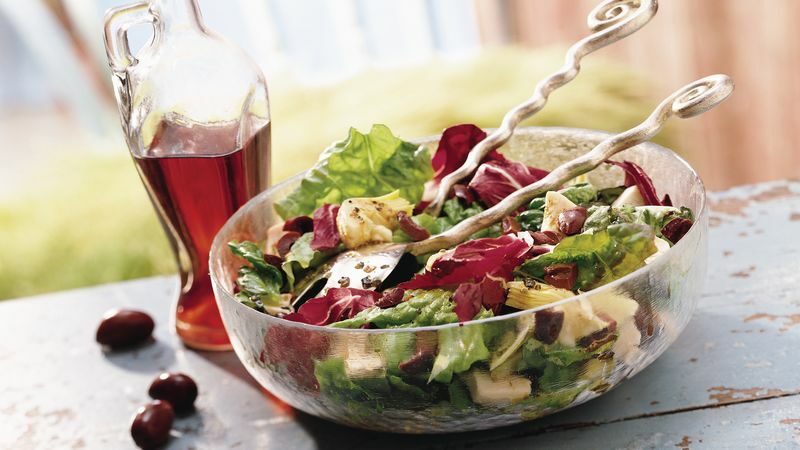 Use a fat-free Italian or balsamic vinaigrette dressing. Serve whole-grain crusty rolls and fresh fruit with this dinner salad.